Every show does trivia in some form or another. Any great game show on TV (past or present) uses trivia as a foundation to entertain. It’s how you do the trivia that engages the audience. The manner in which it’s framed and presented is what resonates (which is why Jeopardy is different from NBC’s The Wall). 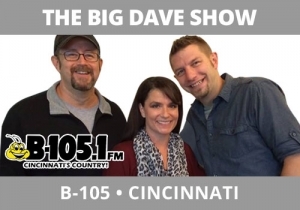 The Big Dave Show, B105, Cincinnati, has a daily feature called Chelsie’s “Not As Naughty As It Sounds” trivia question. It’s the pro forma “this percentage of people do this” question yet the frame makes you think it’s dirty (it’s not). Then the cast takes a guess to remove two very obvious answers before they take calls. Go do trivia – it’s quite engaging and forces the audience to get vicarious to the show. But spend more time on how you do it so it cuts through.